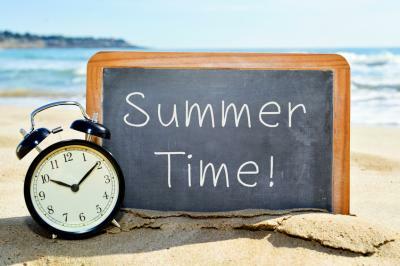 This is the time of year many people are wrapping up vacations, as kids go back to school or get ready to do so soon. For bankers, this is the time of year when the final push begins to Q3 and September 30. That date is important to bankers because it signals where things are likely to end up for the year, so it serves as the final measuring stick on the way toward year-end. Banks will either be on track to meet or exceed annual budgets, loan goals, earnings performance and other factors; they will be close; or they will take a look and see they are behind. This year as with all years, things happen that can derail even the best laid plans, or bankers have been lucky enough to hit in a few areas that have boosted performance. Take the Brexit for instance, that seemed to be the compounding issue that pushed yields down about 35% YTD. Since so many banks make money when the yield curve is steep, you would think this issue would be weighing on performance this year. While performance is declining as a result of the yield drop, it is likely the true pain won't be felt by bankers until probably 2017 or 2018. That is because it takes time for business customers to revisit strategic plans and update financial performance; before they actively begin approaching banks to lock in these lower rates on new loans and refinance existing ones. That wave has just begun so bankers are preparing for a difficult next few years in case rates stay here. Let's all hope the economy will strengthen enough to allow the Fed to raise rates a few more times in the next 6 months. If so, even if longer rates stay low and the yield curve flattens, community bankers may get an opportunity to boost performance (at least on floating rate assets). Over the next 6 weeks or so, bankers will toil away as they head toward that quarter end marker. Once there, the financials will be quickly completed and the strategic planning phase will kick in. This year in particular, the strategic phase (most banks do strategic planning in October) will bring plenty of challenges to discuss for both management teams and boards. Beyond the interest rate issue that in turn weighs on net interest margin (NIM), bankers will be grappling with a host of other issues this time around during strategic planning. These will include such things as: ongoing strains on the business model, heavy competition for customers, a tight NIM, possible branch closures to reduce costs and respond to changing customer behaviors, technological enhancements and the cyber risk that goes along with that, an aging board, succession planning, and a host of other factors. For now, it is probably best to stay focused on 2016 as you encourage your team to make the final push towards year-end. November and December are notoriously quiet as many people take vacation, so you basically have about 15 weeks left to get done what you want to get done for the year. So, take a moment to shake the sand out of your shoes from your beach vacation, take a deep breath and then figure out what you want to get done in this very short remaining time left for 2016. The weeks will fly by and there will be a lot to do around strategic planning this year. As such, our advice right now is to get your teams psyched up and focused on the job at hand as you pound it out for the next 6 weeks, then take another breach and refocus again on Oct 1st for the final 9 week push to year end. Yields climbed 3bp, as investors digested comments from a group of Fed speakers that seemed to lay the groundwork for another rate hike in the coming months. A Gartner survey of bank executives finds 84% of respondents say they expect digital change to result in increased profit margins. A Bank Director survey finds 60% of respondents say millennials are not interested in working for a bank. A survey by Navex Global on ethics and compliance finds companies rank the following top training objectives as the most important: create a culture of ethics and respect (70%), comply with laws and regulations (60%), improve employee understanding of compliance priorities and obligations (45%), prevent future issues or misconduct (28%), improve program with more engaging and effective content (24%), keep information secure and protected (22%), and train leaders and managers on their unique obligations (21%). A survey by the RMA of community banks finds respondents said the top areas of risk they face today are IT (46%), regulatory compliance (45%) and credit (41%). Mobile Marketing Watch research finds text messages have a 98% open rate vs. 20% for email. Meanwhile, Connect Mogul research finds 90% of all text messages are read in less than 3 minutes. Korn Ferry indicates static peer groups used for compensation purposes "are a notion of the past" and that given large shifts in markets, peers should be selected not based on size but should include "many other facets." FDIC research shows that from 2000 to 2008, banks had about 9.5% to 10.25% in Tier 1 Capital. Then, starting in 2008 it climbed, reaching a level of about 12.5% to 13.0% from about 2011 onwards. That is a rough approximate increase of almost 30%.